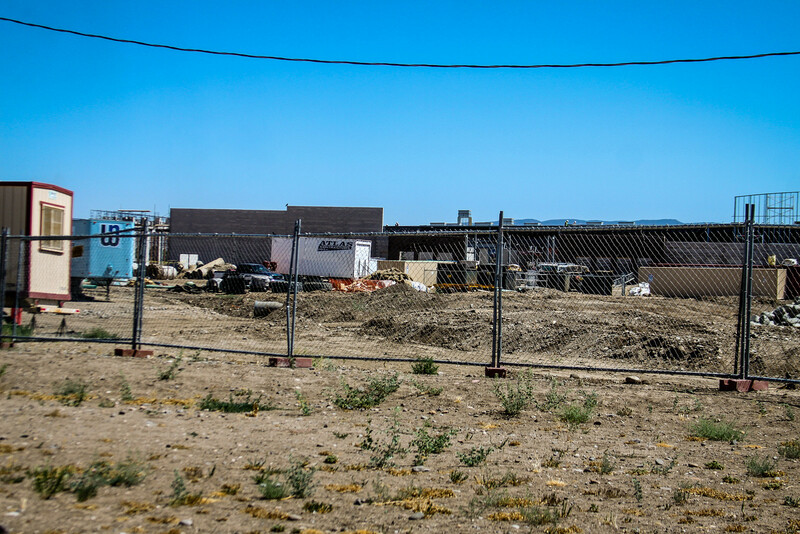 We’ve been hearing about the new Walmart coming to Gardnerville forever. It was just in the rumor stage for years, then it became more firm, but it still seemed like it took forever after it was officially announced before they did any actual work on it. Ground was finally broken this year, and ever since then it seems like they’ve been zipping right through it. All the walls are up now, there is activity in every corner of the site, the steel and brick are flying fast and furious. They could announce that it’s opening next week and I wouldn’t be surprised, that’s how fast they’ve been working on it. There was lots of debate and hand-wringing when it was first announced. Every time a Walmart comes to town it seems to set off sparks like this. 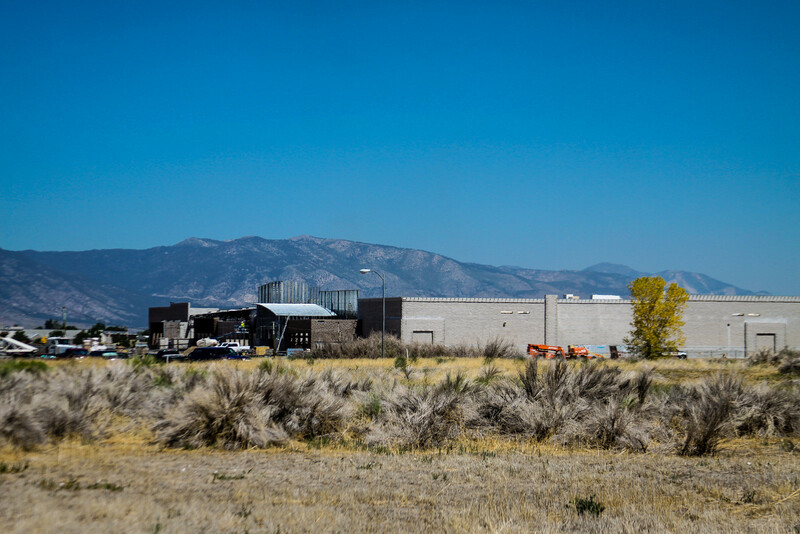 People worry that all the small shops are going to be in danger after Walmart opens, but the thing about Minden and Gardnerville is that there are not a lot of small shops that will be affected. The small shops already closed a long time ago. What’s left are some medium-sized supermarkets, like Raley’s, Smith’s, and Scolari’s. They might have a dip in business after Walmart opens, but I think they have enough loyal customers to make it through. Raley’s in Carson is still doing well, even with two Walmarts in town. 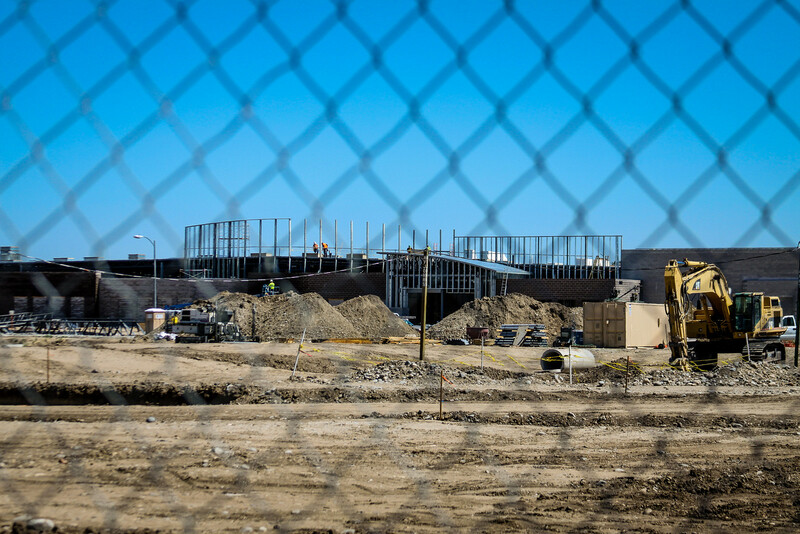 Scolari’s might be in trouble, based on what happened to the Scolari’s in Carson City, but really I don’t think Walmart is going to be this huge black hole that is going to pull business away from every other place in town. I think mainly what is going to happen is that all the people who now drive to Carson City and go to Walmart there will save some gas and save some time. The other stores have their niches and their loyal customers and that won’t change. Rite-Aid might be in trouble, though. I barely want to go there now, and Walmart will take away all incentive to shop there. 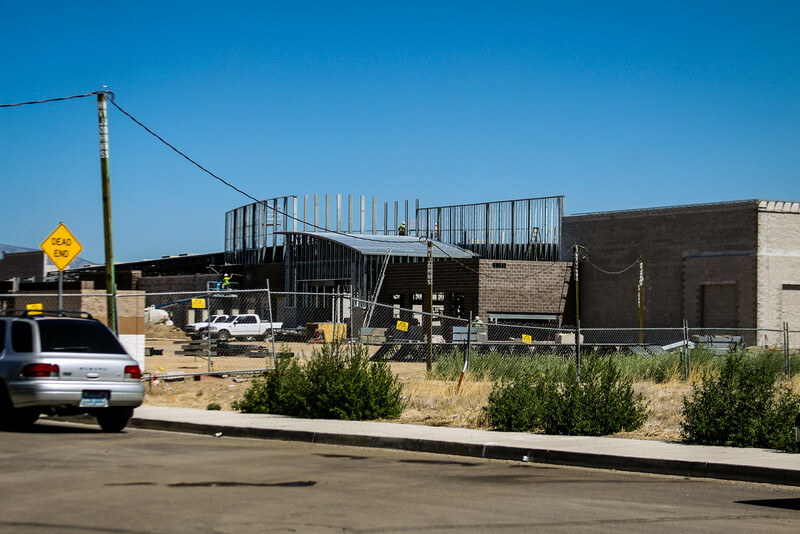 Walmart is also going to bring major changes to south Gardnerville. This store is being built along a fairly sleepy stretch of highway. It’s sandwiched in between the industrial park and the medical center, and unless you have a health problem or work in one of the factories people just zip by there without stopping. The Walmart will make that area into a major draw. I imagine there will be a stoplight for Walmart; I don’t see how they could build that store without one. Walmarts also usually act as an anchor for smaller stores and restaurants, so I could see a strip mall and a couple of fast food places being built in the parking lot. 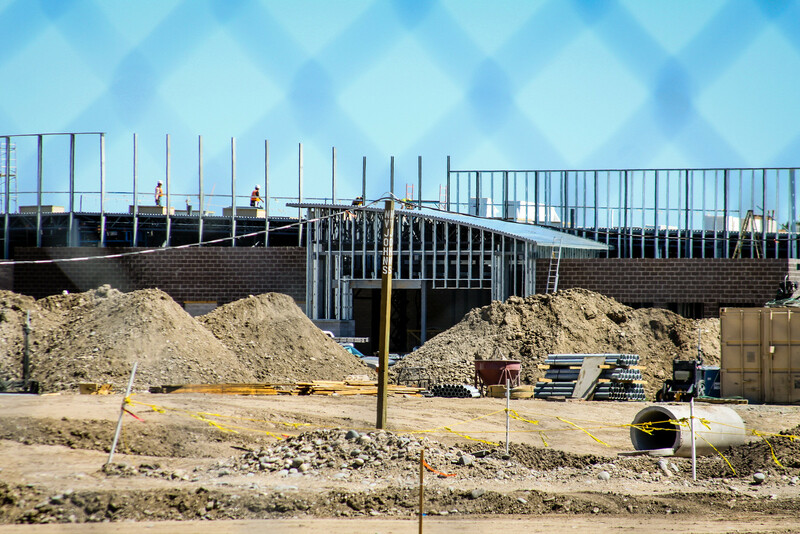 South Gardnerville is about to become a very busy place, and it will change the character of that whole part of town. Also the Muller Parkway is going to run right behind Walmart. 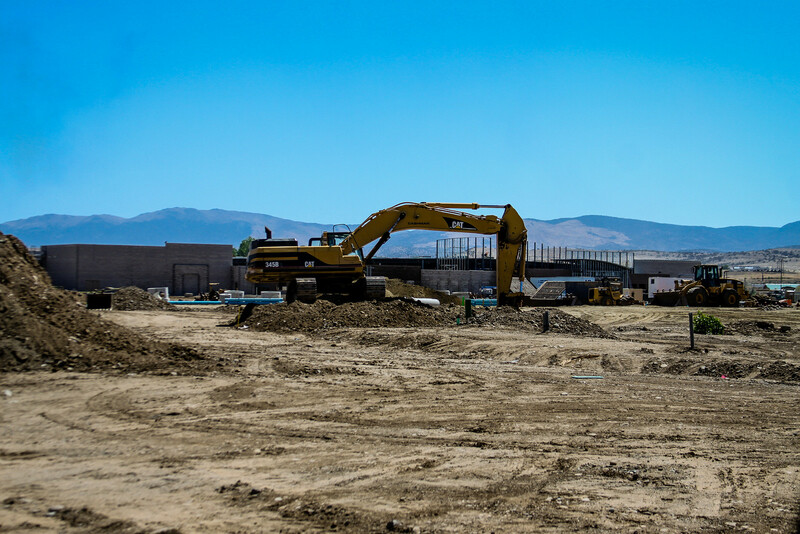 Muller Parkway is the long-in-development bypass road that is going to send trough traffic around Minden and Gardnerville, so there won’t be so many big trucks going through downtown. It’s not quite a freeway, it’s a four-lane road that has been in the planning stages for something like 20 years. The north segment of the road has been built, branching off of 395 just north of Minden, and construction is well underway to realign Pinenut Road at what will be the Muller Parkway’s southern terminus. The middle parts are still just farmland, and there is absolutely no schedule for any of it to be completed. When it is done, though, the parkway will run very close to the Walmart, so traffic will be able to get into the shopping center from both the front and the back. Someone who lives in Fish Springs or East Valley would be able to visit Walmart without ever setting foot on 395. This whole project is going to have the effect of majorly reinventing the way traffic flows around south Gardnerville. 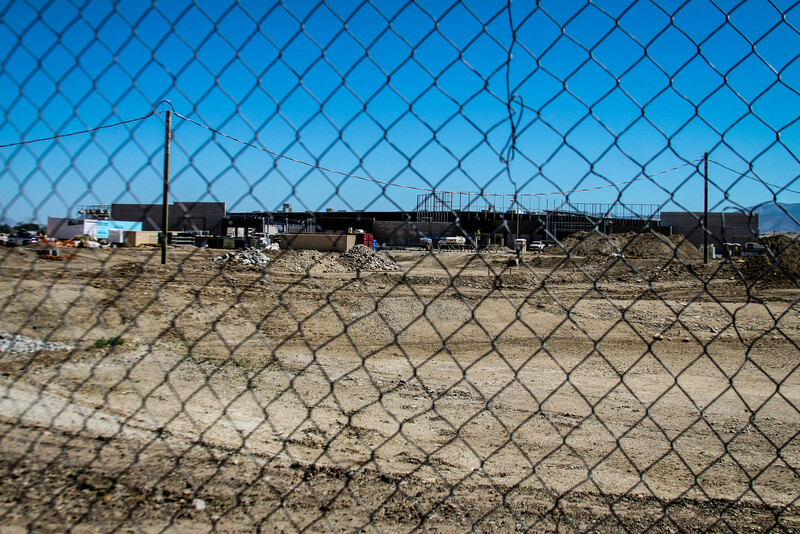 In five years the area will hardly be recognizable from what it has been. That might be the biggest worry that detractors of the project have. 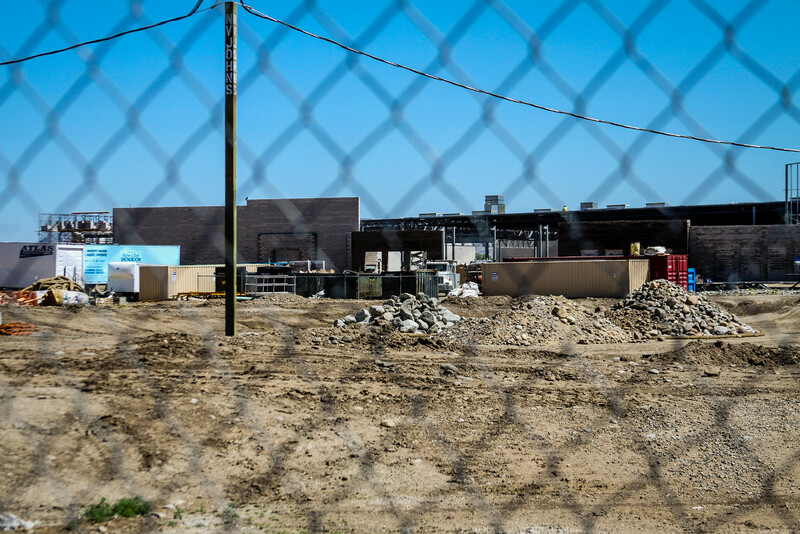 Like it or not, though, Walmart is coming to town and it will be here to stay. I haven’t heard of an actual opening date, but looking at the state of construction I would say it would be early next year. If they keep up the fast pace they might even slip it in before Christmas. It sure will be interesting to watch this all go forward. Glad to see Walmart coming. I’v been paying 2 bucks more for a loaf of bread in G’Ville, as I do in Carson.